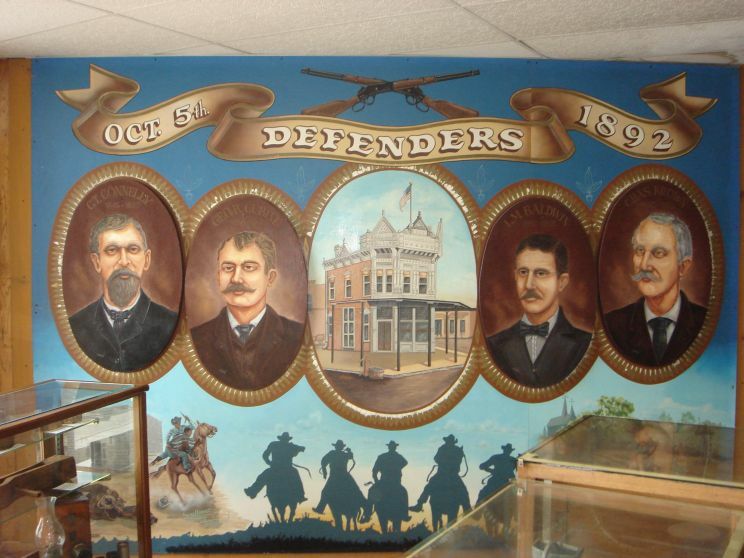 The Dalton Defenders Memorial in Coffeyville, Kansas is dedicated to the four men who were killed in the Dalton Gang raid on the town on Oct. 5, 1892. The notorious Dalton gang was attempting to rob two banks simultaneously, but were identified by a local resident. The Marshall and several other townsmen took up arms and there was a terrific gun battle in which the Marshall, Charles T. Connely, and three civilians, Lucius M. Baldwin, George B. Cubine and Charles Brown, were killed. 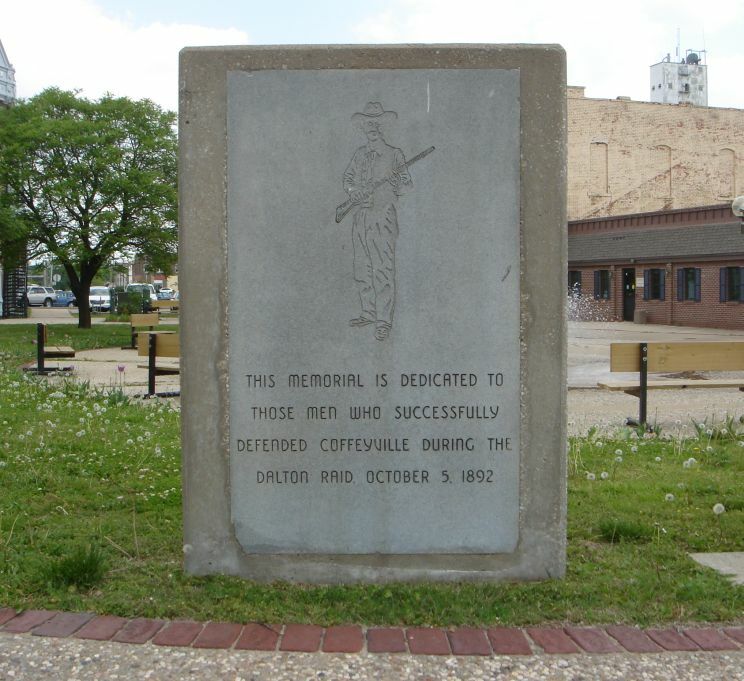 Four of the Dalton Gang were also killed and a fifth was badly wounded, but survived. 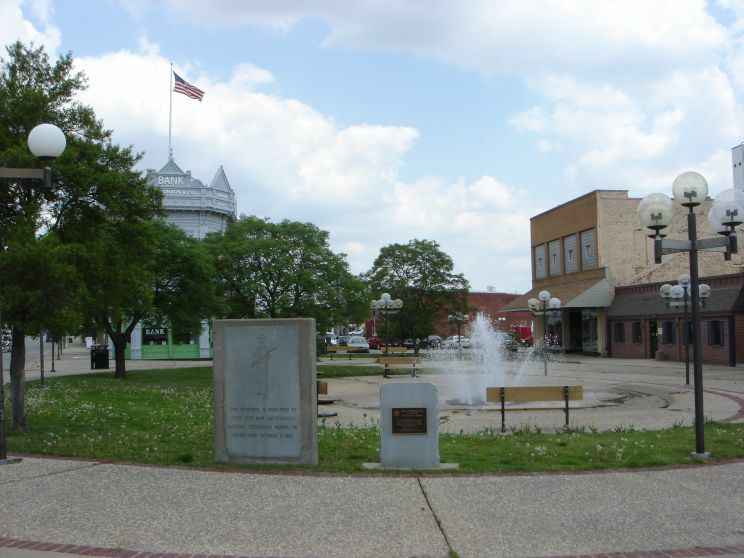 Two of the defenders, Cubine and Brown, are buried at the Elmwood Cemetery in Coffeyville not far from where three of the gang are also buried. Marshall Connely is buried in Independence, Kansas and Baldwin in Burlington, Kansas. Close-up of the Dalton Defenders Memorial. Marshall Charles T. Connely, George B. Cubine, Lucius M. Baldwin and Charles Brown. 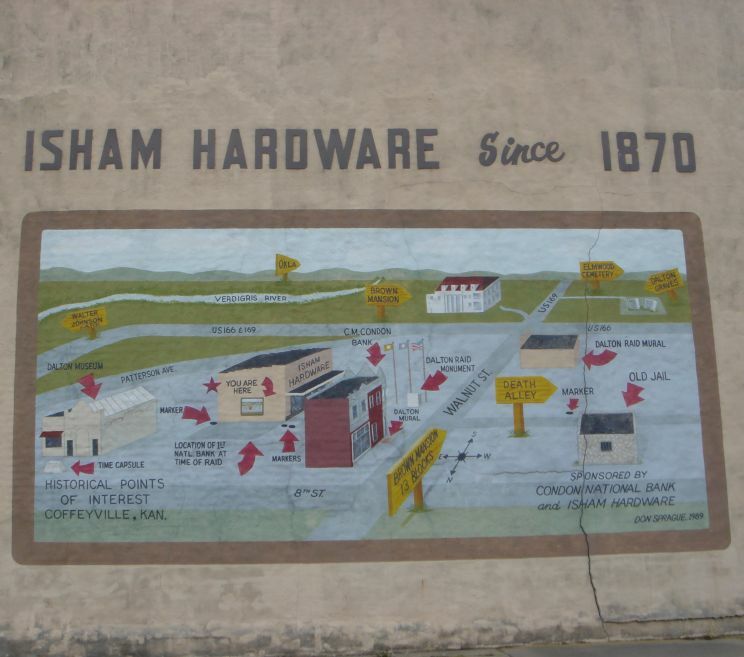 A mural painted on the Isham Hardware building shows Coffeyville and all the points of interest related to the Dalton Raid.